Having a fatty liver means the liver can’t metabolize insulin and keep control of your blood sugar levels. 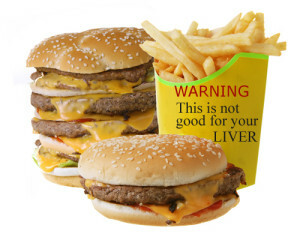 If you are overweight there is a strong likelihood that your liver is struggling in some way. That’s why you should start to think about a fatty liver diet plan. One such diet plan you may want to consider is the “Ketogenic Diet” which has been designed to control weight loss and aid the liver. Remember, “you are what you eat” and that holds true for a diet. Obviously dieting in general will help with weight loss but it may not be very fatty liver friendly. If you constantly feel tired and have non-existent energy levels then this could be a sign that your liver needs some help. If you’re not ready to start a full blown liver diet then you can simply start by adding some other healthier foods into what you eat and stop eating some of the rubbish that is easily available. These are some do’s and don’ts that make up part of a liver disease diet. Try and avoid foods containing fructose. You will need to read the labels and avoid foods which contain high fructose corn syrup, white sugar (50% fructose), honey (40% fructose). Sodas are also to be avoided, but unfortunately you will find fructose in a lot of foods ranging from ketchup to sliced ham. Avoid all types of refined polyunsaturated vegetable oil (oils from corn, canola seeds, safflower seeds, sunflower seeds and soybeans). If you want to make your own mayonnaise then use butter, bacon fat or macadamia oil. Avoid alcohol especially spirits. These tend to slow the liver down in processing anything else, also it has to process the alcohol. The most important thing you can do is DRINK WATER! Drink as much as you can. I don’t need to go into specifics but water helps in so many ways. Eat more liver from clean, grass fed animals. As surprising as it may seem eating liver which is rich in choline will actually boost your livers activity. Other foods rich in choline include beef, cod, shrimp, broccoli, dairy products, and almonds. Eat any food that is rich in an amino acid called methionine, as the body can use this to make choline. Meat, fish, sesame seeds and Brazil nuts are all rich in methionine. If you take fish oil supplements be careful about taking large doses on a daily basis, as the oils are polyunsaturated. We all were told to eat our greens when we were younger. Well it’s no different now and these are the best ones to help the liver. Cabbage – Spinach – Kale – Romaine Lettuce. Kale is actually classified as a super food this means its nutrient levels are extremely high! Kale and spinach help give your body massive doses of the right nutrients. Just buy changing what you eat can make a massive difference to how your body feels and by planning your fatty liver diet you will feel great. One diet that stands out and is used by many liver disease sufferers is a Ketogenic Diet. This is a low carbohydrate. The goal of any fatty liver diet plan and in particular the ketogenic diet is to get to a metabolic state known as ketosis. This is simply a normal metabolic process where your body burns small fragments of the fats called ketones instead of burning glucose for your fuel supply. You can find out about the Ketogenic diet HERE. 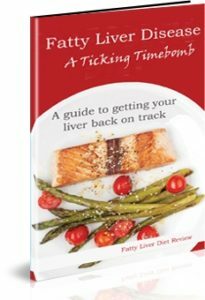 This entry was posted in Liver Disease Diet and tagged bad foods for liver, liver disease, liver disease diet foods on December 15, 2018 by .